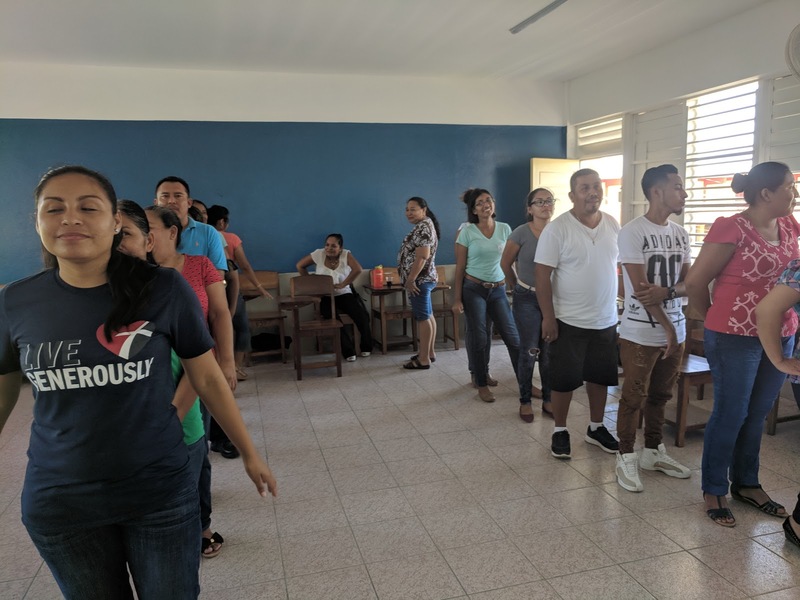 Is there anything else that happens ministry wise in Orange Walk? I made a comment on the video we made for Hopewell. I mentioned something about bonbons. Actually, I am not sure if they even sell bonbons in Belize. There are a number of things that happen that don't fit into a specific category (or day). 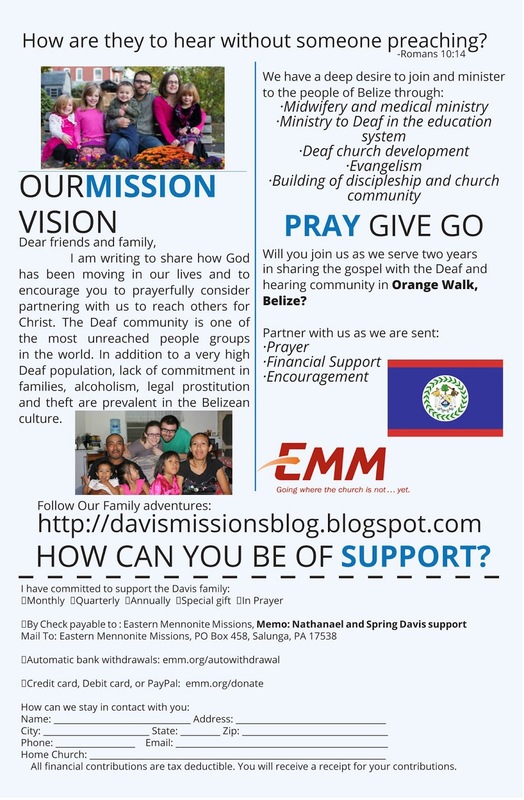 We are here to do Deaf ministry. 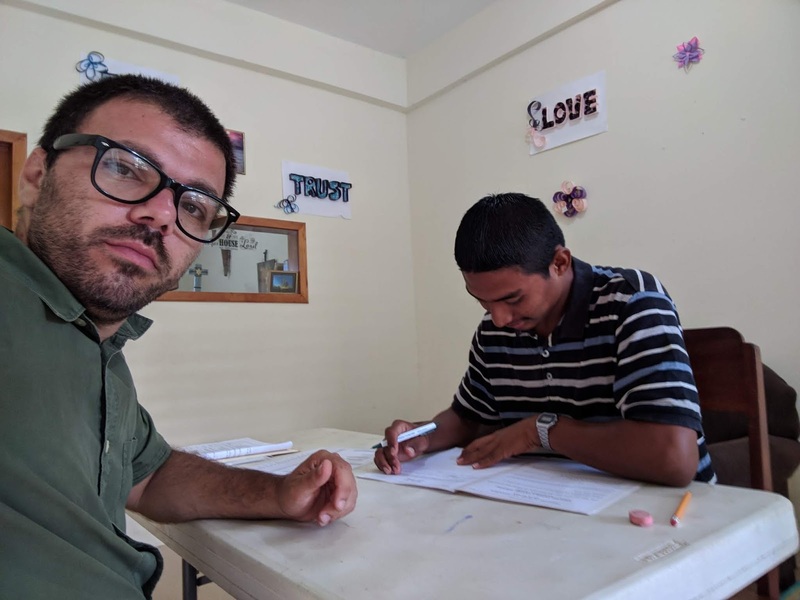 Nathanael is blessed to have been an interpreter prior to coming to Belize. Just as in the USA, Nathanael walks with the Deaf here as they interact in the community. He has gone to the hospital with sick people. He is in the process of helping one woman who has a possible gallbladder issue. At the beginning of our second term we had a guy from across the street stop by. He is a policeman and had a Deaf man in custody. Since then Nathanael has gotten the word out. 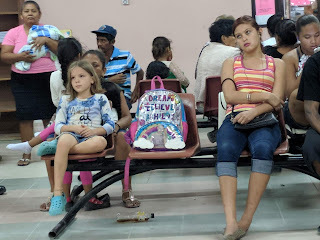 He brings his card with his Belizean number to every visit he makes to the police station. He has visited the police office for different issues 10 or more times. The third thing Nathanael does is work with the ministry of education. He has done it less this year than our first term. The main reason for this is he is currently the head pastor of Jesus Deaf Church. While we were on our internship with Nancy in 2015-2016, she held the primary responsibility. Since our return, that duty has been passed to us. He has however worked several times at Saint Peters with Morene. 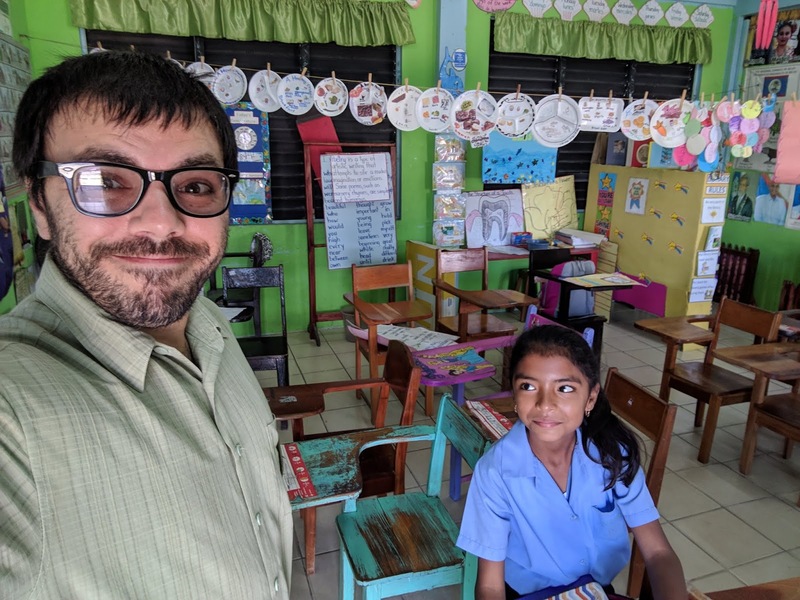 He helped her study for the spelling bee, he also tutored her at the end of the school year. He interpreted for some of the students exams in Cayo. We are thankful that the "other" things that add variety to our life. We don't always know when they will happen. We are grateful that we are allowed to be a part of this. 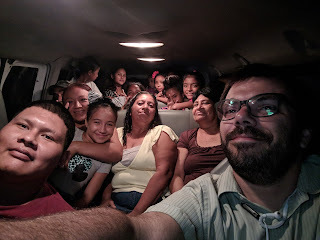 Thank you for helping us in this journey, for being a bigger part of what God is doing in Belize.